Reggie Kelly grew up in Aberbeen, referred to as the treasure of Mississippi. He spent his youth playing football with his childhood friends dreaming of one day entering the NFL. It was at Mississippi State University that Reggie's dedication to achieving academically and athletically lead him down the path of making his dream a reality. Reggie Kelly has been the Tight-End with the Cincinnati Bengals for nearly eight years. He began his professional career in football during the 1999 NFL Draft. The Atlanta Falcons in the second round tapped him. After several successful seasons as a Falcon amassing an outstanding record, he was traded to the Cincinnati Bengals in 2003. Reggie recently became an author. His book, Prepared, is currently available in bookstores. B2M presents our exclusive interview with Reggie Kelly. Welcome to Books2Mention Magazine. Thanks for the opportunity to feature you. B2M: Please tell us about your new book, Prepared. REGGIE: Prepared is an inspiration book encouraging people to get prepared for whatever God has in store for them. B2M: What prompted your interest in writing? REGGIE: I wanted to share some of my life experiences in hopes that it would encourage them. B2M: Your book offers sound advice from a spiritual perspective. Was it challenging to begin the process of writing down your thoughts and doing so in a manner that readers would be able to relate to? REGGIE: Yes it was very challenging, but I knew if I was transparent that would really catch the reader’s attention. B2M: What are some of the key principles of "Prepared" that you’ve applied to your own life? REGGIE: That regardless of what I am going through or how bad it seems to look at things from the right perspective and realize that those little stumbling blocks will prepare me for something bigger and better in life. B2M: What interesting tidbit would you like readers to know about you? REGGIE: Not only have I written my first book, but we also have a food line available. It is called KYVAN (my 2 kids name combined). B2M: Please tell us about your football camp for kids. REGGIE: The football camp is held in my hometown of Aberdeen, Mississippi, usually each year. We allow 82 kids (82 is my jersey number) to participate in the camp. The kids are selected based on their grades. I am big on grades, because education is important. B2M: How gratifying has it been for you to be able to help those around you accomplish their goals on and off the field? REGGIE: Well I believe to whom much is given, much is required. When I am able to live out my purpose, and help those who are less fortunate, it is quite refreshing. B2M: What do you think is the most important message that readers can take away from reading your book? REGGIE: If God wants us all to be with him in Heaven, why did he put us on earth first? This question has puzzled humans for centuries. I believe we were born into this world first for the same reason every player in the NFL starts his career tossing a pigskin in his own backyard. Whether it’s the gates of Heaven or the goalposts of the Super Bowl, we are not worthy, nor ready to stand before either until we are first prepared. B2M: Would you say that writing, "Prepared" was therapeutic for you? REGGIE: Yes, it was quite therapeutic because, I was able to put a lot of my thoughts on paper, so others can benefit from it. B2M: What’s next for Reggie Kelly? REGGIE: I plan to continue my career as a NFL Football Player, promote the book through appearances and continue to get my food line off the ground. The food line is called KYVAN and in stores now in Mississippi is Salsa. Hard work, but someone has to do it. B2M: Reggie we encourage you to continue writing great books that touches our hearts and souls. Thanks for interviewing with Books2Mention Magazine. Please be sure to come back again and keep readers informed about all of your future endeavors. 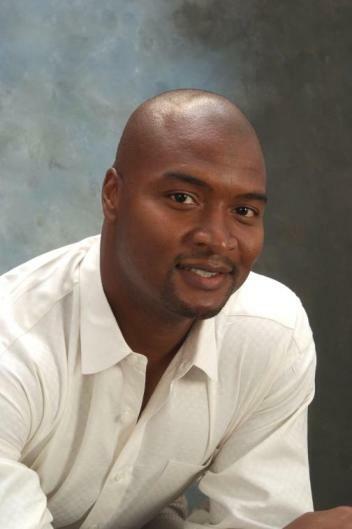 You are welcome to visit the website of Reggie Kelly at www.ReggieKelly82.com.